Google is launching the first public beta of Cloud Pub/Sub today, its backend messaging service that makes it easier for developers to pass messages between machines and to gather data from smart devices. It’s basically a scalable messaging middleware service in the cloud that allows developers to quickly pass information between applications, no matter where they’re hosted. Snapchat is already using it for its Discover feature and Google itself is using it in applications like its Cloud Monitoring service. Pub/Sub was in alpha for quite a while. Google first (quietly) introduced it at its I/O developer conference last year, it never made a big deal about the service. Until now, the service was in private alpha, but starting today, all developers can use the service. The typical use cases for this service, Google says, include balancing workloads in network clusters, implementing asynchronous workflows, logging to multiple systems, and data streaming from various devices. During the beta period, the service is available for free. Once it comes out of beta, developers will have to pay $0.40 per million for the first 100 million API calls each month. Users who need to send more messages will pay $0.25 per million for the next 2.4 billion operations (that’s about 1,000 messages per second) and $0.05 per million for messages above that. Now that Pub/Sub has hit beta — and Google even announced the pricing for the final release — chances are we will see a full launch around Google I/O this summer. Databricks, a company founded by the creators of Apache Spark, has recently announced a new record in the Daytona GraySort contest using the Spark processing engine. The Daytona GraySort contest is a 3rd party benchmark measuring how fast a system can sort 100 Terabytes of data.Databricks posted a throughput of 4.27 TB/min over a cluster of 206 machines for their official run which constitutes a 3x performance improvement, using 10x fewer machines when compared to the previous record submitted by Yahoo! running Hadoop MapReduce. In a blog post announcing their submission to the Daytona GraySort contest, Databricks explained some of the technological improvements recently introduced to Spark that allowed it to sustain such a large throughput. Spark 1.1 introduced a new shuffle implementation called sort-based shuffle . The previous shuffle implementation required an in-memory buffer for each partition in the shuffle which lead to notable memory overhead. The new sort-based shuffle requires only one in-memory buffer at a time. This significantly reduced the memory usage and allowed for considerably more tasks to be run concurrently on the same hardware. In addition to the new shuffle algorithm, the network module was revamped based on Netty’s native Epoll socket transport which maintains its on pool of memory, bypassing the JVM’s memory allocator and reducing the impact of garbage collection. The new network module was then used to build an external shuffle service to allow shuffled files to be served even during garbage collection pauses in the main Spark executor. Finally, Spark 1.1 included TimSort as its new default sorting algorithm. TimSort is derived from merge sort and insertion sort and performs better than quicksort in most real-world datasets, especially for datasets that are partially ordered. All of these improvements allowed the Spark cluster to sustain 3GB/s/node I/O activity during the map phase, and 1.1 GB/s/node network activity during the reduce phase which saturated the 10Gbps ethernet link. Spark is an advanced execution engine born out of research done at the AMPLab at UC Berkley. It allows programs to run up to 10x faster than Hadoop MapReduce and when data is on disk, and up to 100x faster when data resides in memory. Spark supports programs written in Java, Scala or Python and uses familiar functional programming constructs to build data processing flows. Spark has garnered significant attention as a next generation execution platform for Hadoop and is seen by some as a replacement for MapReduce. It graduated to a top level Apache project in February and since then has been included in the Cloudera, Hortonworks and MapR’s Hadoop distributions. More recently, Hortonworks announced they will support running Hive on Spark as part of their Stinger.next initiative. Databricks was founded in 2013 as a commercial entity supporting Spark and its associated projects. Those projects include Spark Streaming for stream processing, Spark SQL for querying Hive data and MLlib for machine learning. Locking in? Trying to replicate its Linux success in the cloud, Red Hat said it will not support Red Hat Linux customers who run a non-Red Hat OpenStack distribution. Everyone knows that Red Hat, the king of enterprise Linux, is banking on OpenStack as its next big opportunity. And most figured it would be aggressive in competing with rival OpenStack distributions — from Canonical, HP, Suse, and others. What we didn’t necessarily know until the Wall Street Journal (registration required) reported it Tuesday night is that Red Hat — which makes its money selling support and maintenance for its open-source products – would refuse to support of users of Red Hat Enterprise Linux who also run non-Red Hat versions of OpenStack. Since Red Hat accounts for more than 60 percent of the paid enterprise Linux market, that policy could stem adoption of rival OpenStack distributions. It could also irritate customers — many of whom don’t like the specter of vendor lock-in. In this policy — which the company confirmed to the Journal — Red Hat seems to have ripped a page out of Oracle’s playbook. The database giant, as it expanded into other software areas, decided that it would not support customers running non-Oracle virtualization, non-Oracle Linux etc., unless the customer could prove that its issue originated in the Oracle part of the stack. That went over like a lead balloon with users. 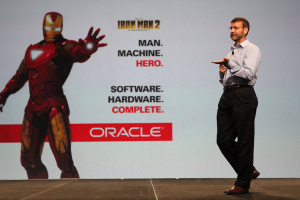 Since Oracle announced its own OpenStack distribution this week — and it also fields its own Linux distribution — the stage is set for dueling single-source OpenStack implementations going forward. Needless to say, that could ding OpenStack’s promise of no-vendor-lock-in. The Journal also reported that Red Hat employees were told to stop working with Mirantis, an OpenStack systems integrator that late last year started offering its own OpenStack distribution. Red Hat’s president of products and technologies (pictured above) Paul Cormier told the paper that Red Hat would not bring a competitor into its accounts. Reached late Tuesday for comment, a Red Hat spokeswoman noted that OpenStack “is not simply a layered product on top of Linux — [RHEL] is tightly integrated into and part of OpenStack. It is much more complex and intertwined than, say, Microsoft choosing to run PowerPoint on iOS.” I will update this story with additional Red Hat comment when it becomes available. Mirantis could not be reached for comment. 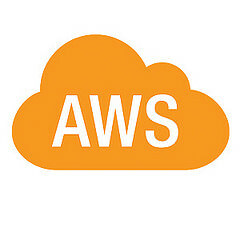 This news, which came out of the OpenStack Summit in Atlanta, may unsettle corporate customers wary of committing too much of their IT budget to any one vendor. But it’s hardly surprising. All of these vendors, while pledging open-source goodness of OpenStack, also want to expand their own reach in customers’ shops. OpenStack competitors have been wary of Red Hat for quite some time, expecting it to try to replicate its dominance in the enterprise Linux realm with cloud with OpenStack. Mark Shuttleworth, founder of Canonical, which competes with Red Hat both in Linux and OpenStack, recently acknowledged that the battle front has moved from the single-node Linux server realm — where Red Hat won — to multi-node cloud deployments where Red Hat’s enterprise software licensing mentality could put off customers. This new policy will test how compliant big customers will be to such enterprise sales tactics in the age of cloud.